SFCCC envisions a future in which all persons have access to quality health care in culturally-, linguistically-, and population-sensitive, community-based settings. SFCCC is a partnership of nonprofit health centers that provides leadership and fosters innovation to improve community health. Born out of a movement in the 1960s, nonprofit community health centers have long been the source of primary care, behavioral health and dental care for the low-income communities they serve. With majority consumer-led boards, health centers have gradually augmented their culturally and linguistically appropriate services to meet the needs of underserved neighborhoods by adding other assistance programs, such as job training; housing, clothing and food assistance; transportation; and other wellness-oriented programs. In time, health centers have become economic anchors in the communities they serve - creating jobs and infusing a sense of empowerment into neighborhoods oftentimes overlooked by other sources of economic development. 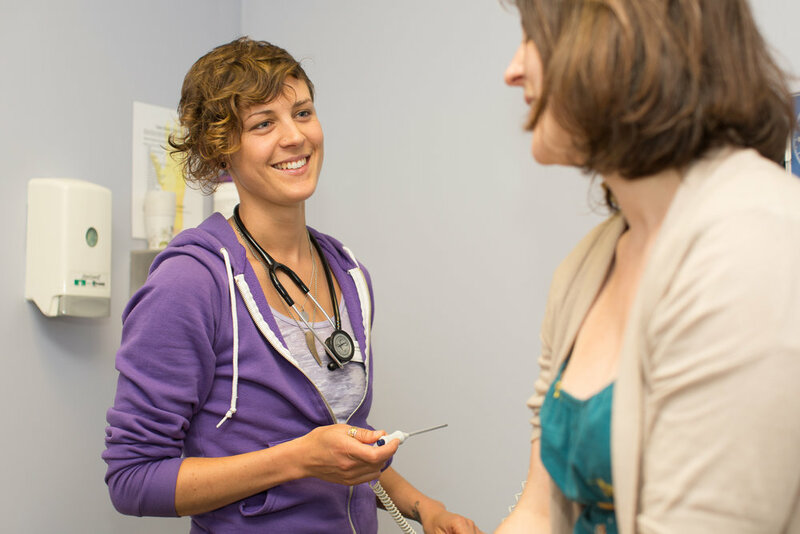 San Francisco Community Clinic Consortium has grown to represent 11 such member clinics, operating from 27 sites, providing care to 112,600 patients in San Francisco’s most vulnerable neighborhoods. Today, new challenges and opportunities await. As the nation shifts increasingly to the total cost of care, accountability and integration with other health care service providers, the health centers’ model of patient-governed, patient-centered comprehensive primary care delivered in a culturally-sensitive, community-based setting must also evolve. Because each health center is independently governed to allow each to stay keenly attuned to their patients, aggregating the data to demonstrate our impact can be more challenging than fully integrated health care systems found elsewhere. Unsurprisingly, the resources needed for this transformation and coordination are scarce, as health center funding is oftentimes focused upon direct patient care. For almost 40 years, SFCCC has been a voice of advocacy for our health center members. As the expectations evolve for our members, SFCCC has shifted to providing more business-related support. From convening peer groups of physicians to technical assistance with information technology infrastructure, SFCCC looks to bring economies of scale and resources to our health centers and the patients they serve. Click here to learn more about SFCCC Programs.